Methi (Fenugreek) leaves Poriyal - simple and healthy side dish for your lunch with 5 basic ingredients. 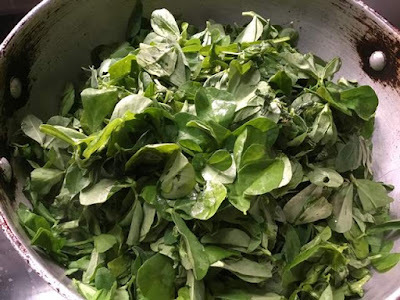 For methi leaves poriyal, there is no need to chop the greens. Just remove the leaves from the stem and wash it well for 3 to 5 times because it has more mud and sand when compared to other greens. The aroma in the kitchen was very nice when we saute the methi leaves. 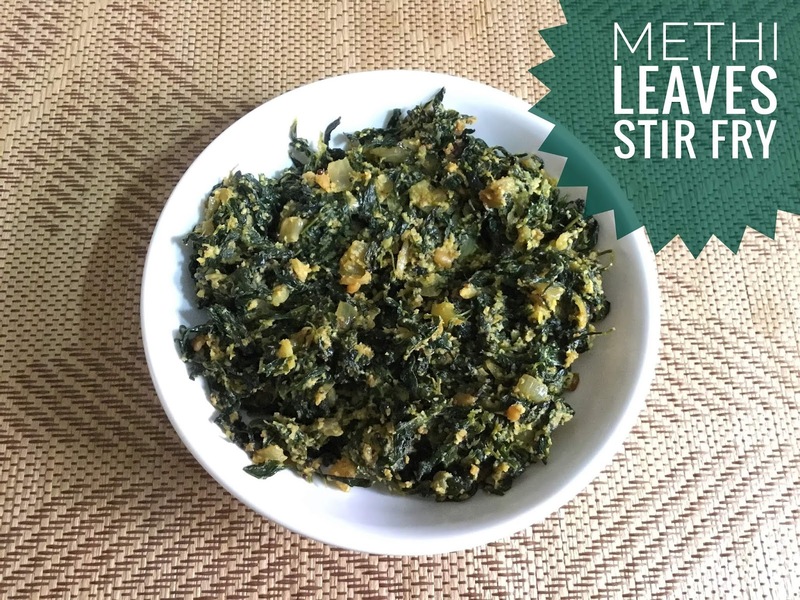 Methi leaves poriyal tastes good when made with fresh leaves. I recommend making it the same day, but if you have busy mornings just pluck the leaves and keep it in a ziploc bag. The trick is to make a perfect methi leaves poriyal is use plenty of onions, coconut, cooked toor dal and finally a tbsp of ghee. 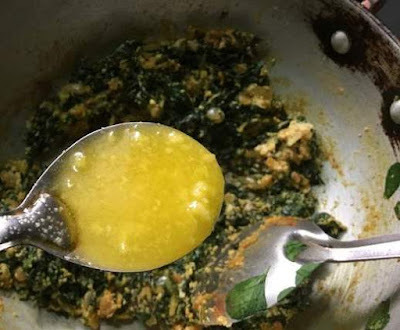 Adding a tbsp of ghee in the final stage is my mom's tip and it boosts the methi leaves flavour also. For any keerai poriyal dishes, we have to saute the greens frequently for uniform cooking. Do not pour water for cooking because your poriyal will turn mushy. Just sprinkle a handful of water and then cook the greens on medium heat. For other keerai poriyal dishes, I use red chillies or green chillies but I prepare this poriyal a little spicy so I have used red chilly powder. 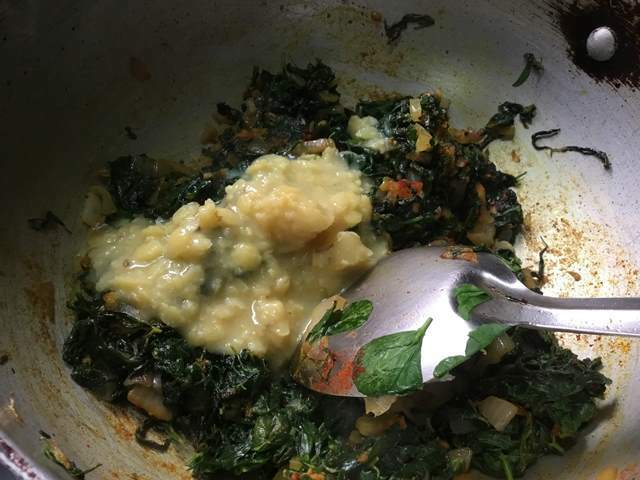 Do not omit the cooked toor dal because it beautifully blends well with the methi leaves and removes the bitterness too. Pluck the methi leaves from the stem and place it in a wide bowl. Grind the coconut, small onions, garlic cloves and cumins coarsely. 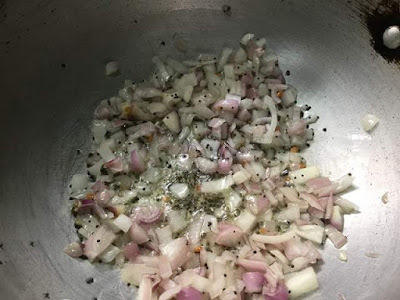 Heat oil in a kadai and add the mustard and urid dal. Allow them to crackle well and add the chopped onions. Saute it well until for a few minutes. 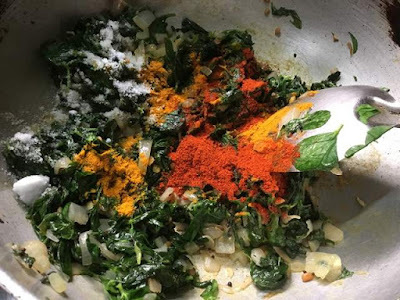 Next, add the methi leaves and stir it well for a few minutes. You will get a nice aroma from the leaves.After few minutes, sprinkle a handful of water and cook for a few minutes. 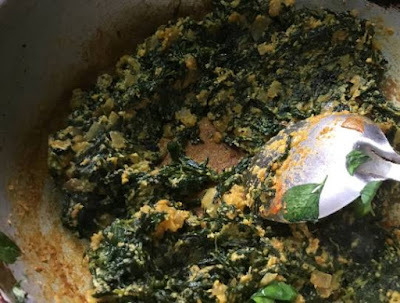 When the leaves are cooked well, add the chilly powder, turmeric powder and required salt. Mix them well. Add the cooked dal and ground coconut paste. Stir and mix them well with the leaves. When the raw smell of the cumins disappears add ghee and stir it well. Stir the greens well and turn off the heat. 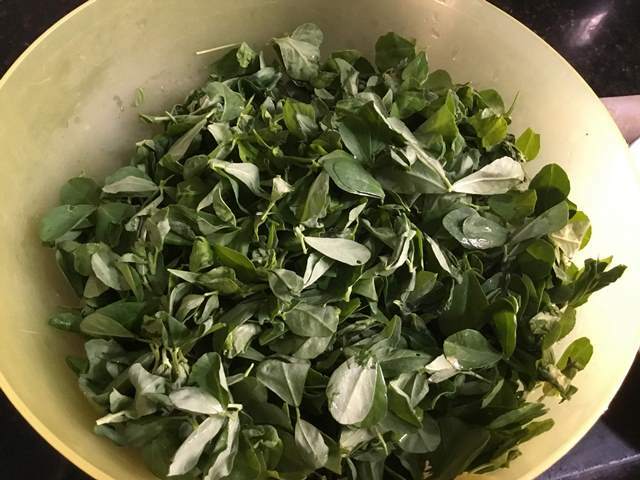 Pluck the methi leaves from the stem and place it in a wide bowl. Wash the leaves well in water for 3 to 5 times until there is no mud. 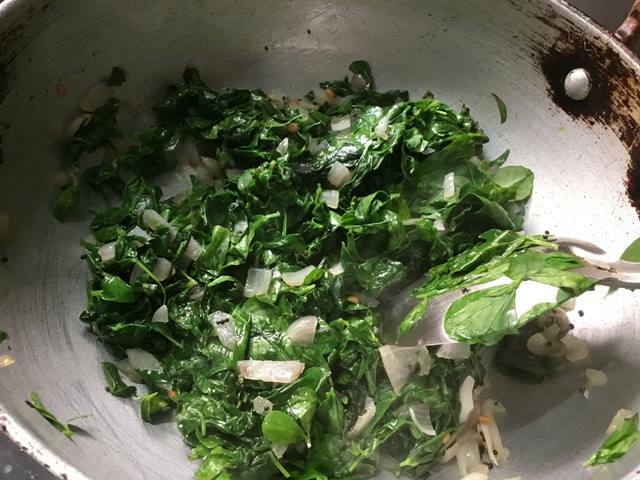 Next, add the methi leaves and stir it well for a few minutes. You will get a nice aroma from the leaves. After few minutes, sprinkle a handful of water and cook for a few minutes. Now add the cooked dal and ground coconut paste. Stir and mix them well with the leaves. When the raw smell of the cumins disappears add ghee and stir it well. 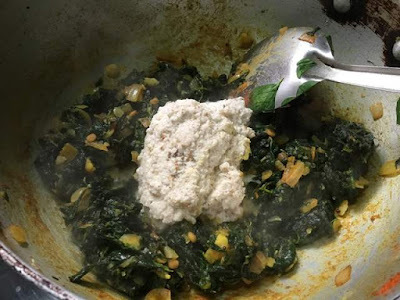 Stir the greens well and turn off the heat.Transfer the poriyal to the serving dish.